We all knew that the UK’s exit from the European Union AKA Brexit would have far-reaching consequences. 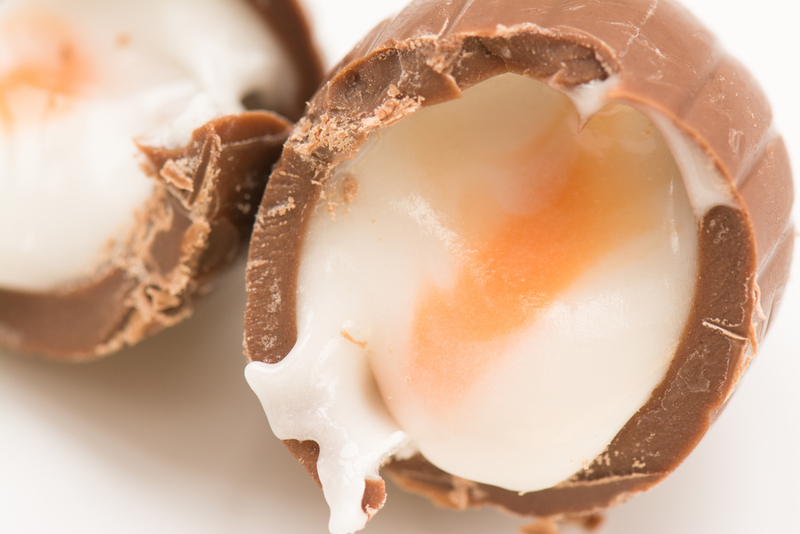 A consequence we did not expect, however, is that this huge upheaval would have a direct effect on our consumer relationship with Cadbury eggs. Chocolate lovers may see the price of Cadbury eggs go up (or our beloved chocolate eggs shrink) as a direct result of Brexit. Or we could see prices go up AND our favorite Easter treat shrink as a result of “shrinkflation.” This is when smaller products are sold for the same price as the once-larger version of the item. So why does Brexit directly impact the cost of a chocolate egg? As Glenn Caton, who is in charge of Cadbury in the UK explains to The Guardian, it comes down to three factors. First, the UK economy in the wake of Brexit will, of course, impact Cadbury eggs. Second, potential complex regulations, trade barriers, and tarrifs would also effect the cost of a chocolate egg. And last but not least, Cadbury currently employs people of 50 nationalities in its UK center Bournville. Cadbury very much hopes these employees can stay right where they are. Obviously, in the grand scheme of the Brexit chaos, the size/price of Cadbury eggs is a small thing. OBVIOUSLY. But it’s still worth taking a deep dive into the details. Because this political upheaval is affecting even tiny things, like Easter candy. Still, we’re going to be really annoyed when we have to buy smaller/pricier Cadbury eggs. But we’ll do it. BECAUSE CADBURY EGGS.